Breaking News. The anticipated shoe has dropped. With all the US news concentrating on the Republican convention, the US Department of Justice, late today, without much fanfare beyond the presser, lobbed lawsuits at Aetna and Anthem to stop their respective acquisitions of Humana and Cigna. US Attorney General Loretta Lynch was joined by Principal Deputy Associate Attorney General William Baer, who had been the DOJ’s point person for this anti-trust review. Reuters reported that Aetna and Humana expect “to vigorously defend the companies’ pending merger,” Anthem’s response was “more muted”, as industry observers expected, as it has been more problematic not only in size and with Medicare Advantage divestiture, but also with reports of disagreements on management and governance. If these mergers were successful, the Big Five in US health insurance would be reduced to the Big Three, with the $48 bn Anthem-Cigna matchup besting UnitedHealthCare for the #1 pole position with 45 million covered persons. Intel and GE’s joint venture, Care Innovations, is opening an IT and product development center in Louisville KY’s Norton Commons live/work community. According to reports, the 10-person office was opened to develop “software for medical monitoring systems that allow people to measure their vital signs in own homes and that will analyze the data for health care providers”, which sounds like a description of Health Harmony as mentioned further in the article. Also cited by CEO Sean Slovenski was the recent acquisition of several major clients in Mississippi, Louisiana, Kentucky and Tennessee. Headquarters will remain in Roseville, California, northeast of Sacramento and far east of Silicon Valley. Why Louisville? It’s the headquarters of Humana, currently in the early stages of a merger with Aetna. Mr Slovenski is an alumnus of Humana who undoubtedly recognizes that there’s always talent which shakes loose with any merger, often proactively. He has reorganized the company top to bottom since the days in the doldrums under Louis Burns, and added initiatives such as the Validation Institute plus academic relationships with the Jefferson School of Population Health, Xavier University and the University of Mississippi. Louisville is also a lot closer to Washington DC (1.5 hour flight time) and all those wonderful Federal programs with lots and lots of funding. Louisville Business First, release. Speaking of the Aetna-Humana merger, it now has a strong boss man to make sure it works–Rick Jelinek, CEO for a year of OptumHealth, 19 years at predecessor now unit UnitedHealthcare including leading the Medicare Advantage and Medicaid businesses. The stakes are high in that the merger will create the second-largest managed care company in the US. Mr Jelinek also will lead Aetna’s enterprise strategy division, and will report directly to Aetna’s CEO. The timeline, unless the Feds put on the brakes, is to close in second half 2016. The combined operating revenue is projected at about $115 billion, with about 56 percent from government-sponsored programs, such as Medicare and Medicaid. 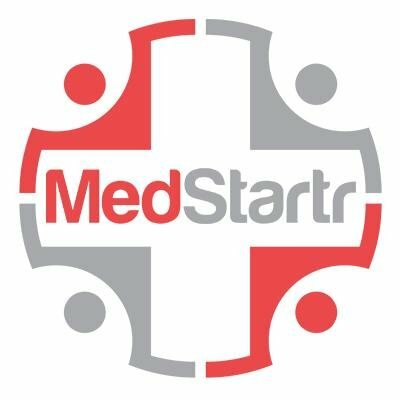 The plan, according to Louisville Business First, is to headquarter the combined Medicare, Medicaid and Tricare businesses in Louisville. But, as they say, the meal is still being prepared, and assuredly not everyone at either company will find a seat at this table, or one they want to sit in. Crap Game (Don Rickles): Ya make a DEAL! Big Joe (Telly Savalas): What kind of a deal? Crap Game: A DEAL DEAL. A $37 bn deal, that is. Announced on the Friday before the US Independence Day holiday (a day which may define media ‘black hole’), Aetna and Humana announced either their merger or the acquisition by the former of the latter, depending on what account you read. If approved by the Feds, the combination of #3 and #4 insurers (by revenue) respectively will exceed 33 million insured, making the combined entity #3 in insured individuals (after UHG and Anthem) and #2 in revenue. The announcement also stated that Louisville, Kentucky, Humana’s current headquarters, will continue to manage the Medicare, Medicaid and military Tricare businesses. Both are in Medicare Advantage, which is problematic due to market share and anti-trust considerations in at least four states, according to Reuters. (Humana has about 20 percent of national Medicare Advantage private policies.) We’ve previously noted the unfavorable comparison to the end stages of airline deregulation–consolidation reducing competition and consumer-favorable pricing. No word on the future of the Humana brand and marketing, which has always been executed well. As to the outlook for digital health support–the prognosis by this Editor of this combination is, in the Magic 8 Ball’s answer, ‘reply hazy, ask later’. Humana was known in the industry for being fairly open to opportunities and backed them with funding (Healthsense, Vitality, what remained of Healthrageous) under business such as Humana Cares. Humana at Home also owns a home care management company, SeniorBridge. Will this be of interest to Aetna in population health management, or an early ‘For Sale’? Aetna, by contrast, has pivoted several times. CarePass consumer apps was a patient engagement experiment that proved the point that policyholders don’t want apps from insurers. Healthagen (an acquisition) was first positioned as an ’emerging businesses’ skunkworks of sorts umbrella-ing over iTriage (now integrated into the parent), ActiveHealth, Medicity and other digital health/analytics related businesses, then scaled back in early 2014 [TTA 28 Feb 14]. Repositioned as ‘population health management, the ACO business dominates. Various reports: Daily Mail, Forbes (which likes it not at all and sees none of the touted ‘economies of scale’) and the WSJ. Rumors now mainstreamed into press surround Aetna’s apparent interest in fellow insurers Humana and Cigna. Forbes last Friday started the ball rolling with an article last Friday focusing on the main event driving insurance payer consolidation: the transition of Medicare from fee-for-service to value-based bundled payments and accountable care organization (ACO) models. Humana has substantial Medicare business and a foot in home care (SeniorBridge), but has innovated in digital health: partnerships (Healthsense, TTA 20 Dec 13), purchases (what remained of Healthrageous, TTA 16 Oct 13), employee wellness (Vitality) and app development. Cigna is a major insurer with corporate business, but has struggled a bit in the digital health arena with the flashy-but-flopped patient engagement platform GoYou. 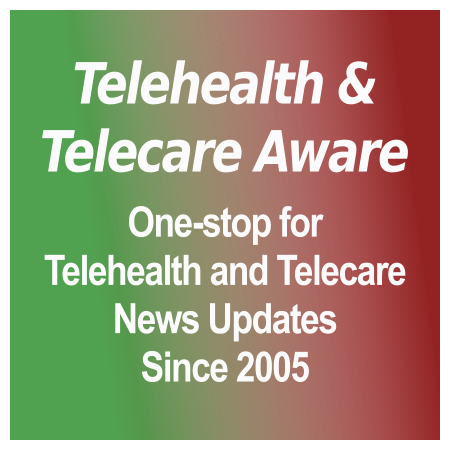 It’s piloted telehealth to reduce readmissions with Care Innovations [TTA 7 Oct 14] and Coach by Cigna, a mobile health platform in conjunction with Samsung for the Galaxy S5 and S6 phones. Healthrageous had an impressive lineage and credibility. Developed over three years at Partners HealthCare, it was spun off in 2010, PHC members on the board, leadership from well-known/regarded figures such as Rick Lee and Mary Beth Chalk–and enjoyed abundant, rapid startup funding–$12.5 million in two rounds, the last exactly one year ago, from equally impressive investors, reportedly $15 million total. No raiding the credit cards here.